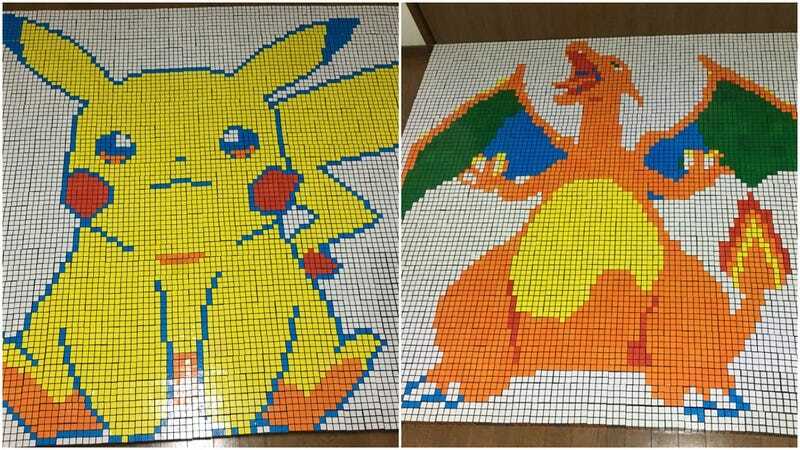 To make this Pokémon art, you need lots and lots of Rubik’s Cubes. I mean, lots. Twitter user Epee bought a whole bunch of Rubik’s Cubes to make these creations. But look at what you can do with them. Each one took about 900 Rubik’s Cubes to complete. This one, however, needed around one thousand cubes. The problem with Rubik’s Cube art is that it makes opening the closet door difficult, it seems. For more Rubik’s Cube art, follow Epee on Twitter.